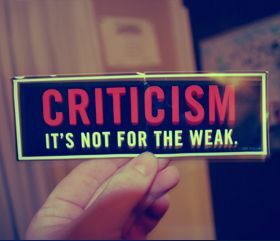 Criticism is expressing disapproval or disagreement with the current state of things. Basically, it is the literary or the art works that are subjected to criticism, so as to analyse their pitfalls and drawbacks. This helps in easy comparison of these literary or art works, with one another. Professional experts, who indulge in criticism of such works of art, are called critics, while a critical assessment is called criticism. What might appeal to the masses is not generally the like of critics. Critics analyse works with great precision and insight, bringing to light several hidden meanings, behind the work of art. In the words of Leslie Fiedler, “All good criticism should be judged the way art is. You should not read it the way you read history or science.” Criticism is not something that everyone can do. One needs to be very learned and skilled in the art of assessing art and literary works.